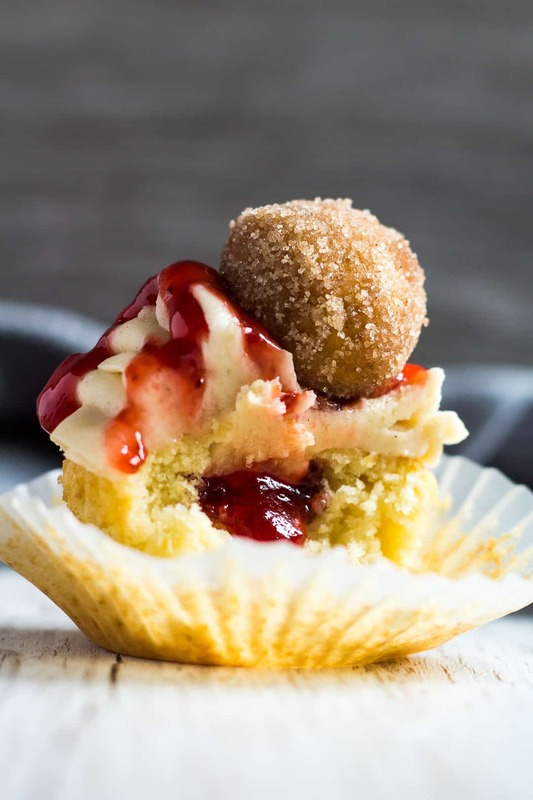 Jam Doughnut Cupcakes – Deliciously moist and fluffy vanilla-infused cupcakes filled with strawberry jam, and topped with a cinnamon-spiced buttercream frosting, and homemade doughnuts! 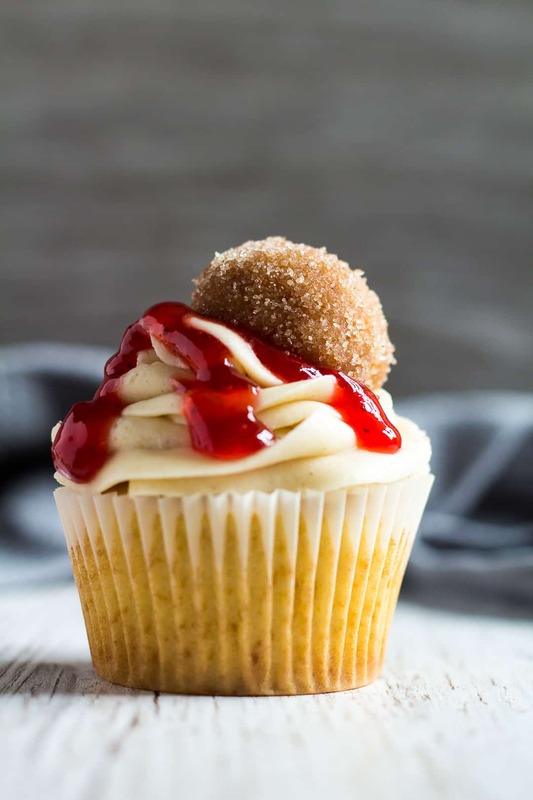 Today, I bring you a cupcake recipe that is worthy of being served at all the parties and special occasions – you’ll have everyone asking for more! 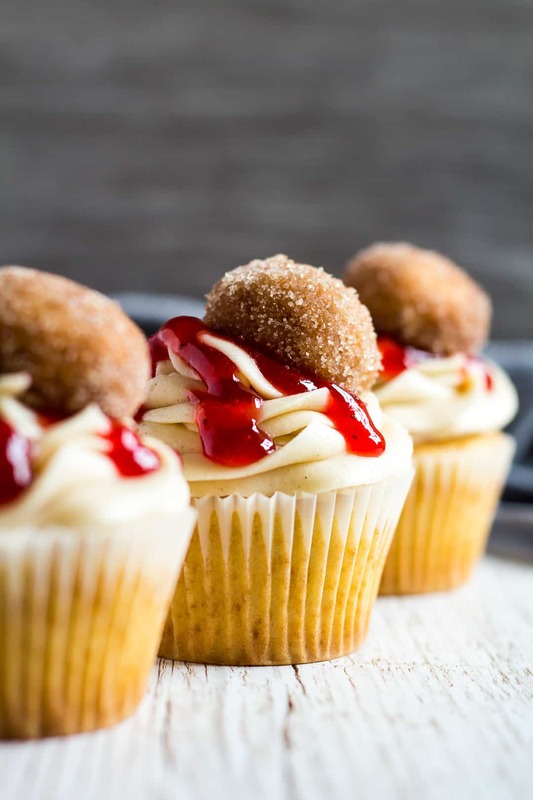 Much like my Toffee Popcorn Cupcakes, these Jam Doughnut Cupcakes are so fun to make, and look very impressive, too. 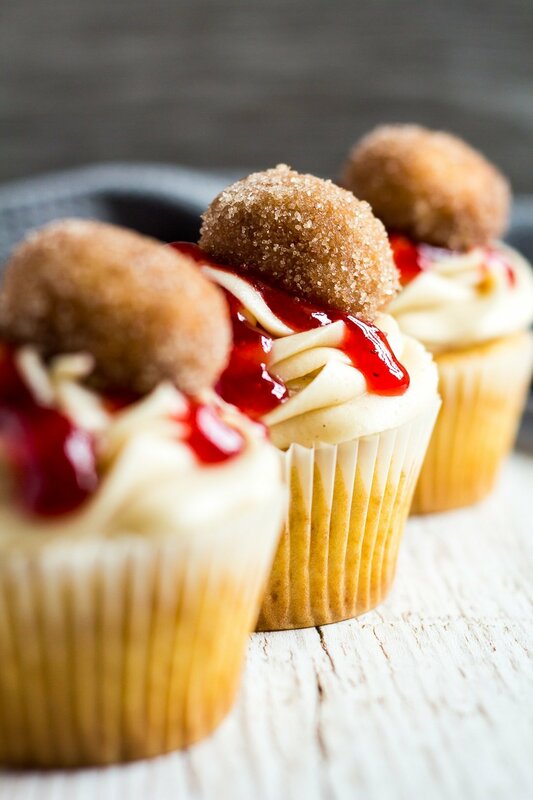 Love vanilla cupcakes and doughnut holes coated in cinnamon sugar? You NEED to make these! I love how cute these cupcakes are! The little doughnut holes on top takes their cuteness to a whole new level. 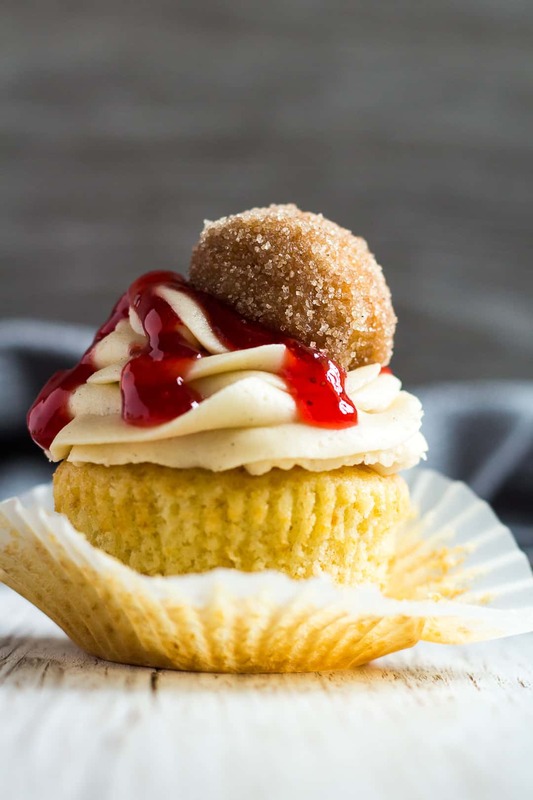 These jam doughnut cupcakes do require some time to prepare, as you’ll be making doughnut holes too. You’ll need at least an hour or two, start to finish. If you are short on time, you can make everything a day in advance! 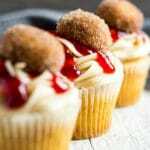 Make the cupcakes and doughnut holes, cover, and keep at room temperature, and store the buttercream frosting in the fridge until ready to use. 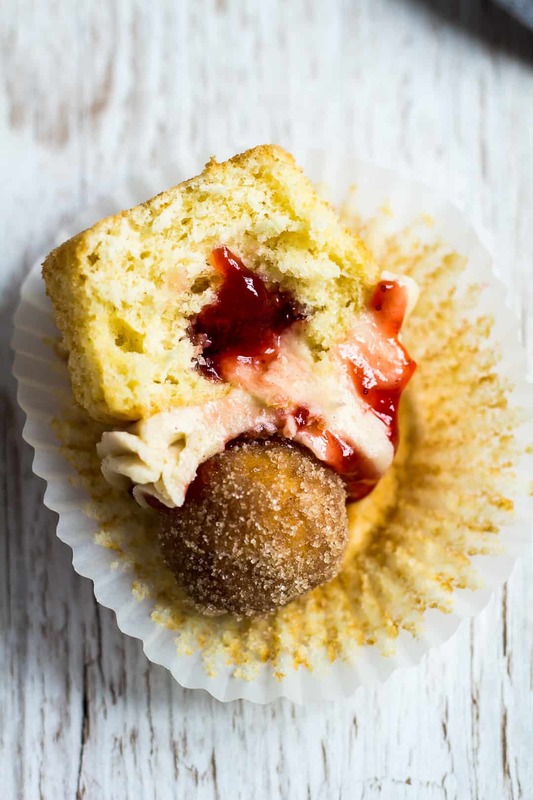 Let me know if you get to try this cupcake/doughnut combination! More party-worthy cupcakes to try next! In a large pan, heat up the oil to 180C/350F. Carefully place one doughnut hole into the oil. Fry until evenly golden brown and cooked through - about 2 - 3 minutes. Repeat with the remaining doughnuts. Place the doughnuts onto a baking tray lined with kitchen paper, and allow to cool slightly. Cupcakes and donuts together?!?! Sign me up!